Mary & Saints - Explore the Catholic Faith One Click at a Time! What's the big deal with Mary? or just pray to her? are answered in this short video. what do Catholics believe about them? 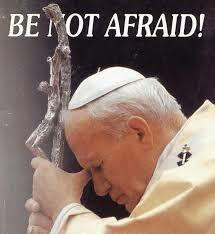 "Do not be afraid to be saints. Ever wonder how the Church declares someone a Saint? Find out in FIVE minutes from our friends at Busted Halo.